Got the Skinny on Whole Grains? By now you have seen or heard how important whole grains are for you and that they should be added to your daily diet. • Eating foods that are high in fiber, like whole grains, reduces the risk of heart disease. • Eating foods high in fiber, such as whole grains, may reduce constipation. • Eating at least 3 ounce equivalents a day of whole grains may help with weight management. • Eating grains fortified with folate before and during pregnancy helps prevent certain birth defects. Any food made from wheat, rice, oats, cornmeal, barley or another cereal grain is a grain product. Some common examples of grain foods include: bread, pasta, oatmeal, breakfast cereals, tortillas and grits. Grains are divided into two groups—whole grains and refined grains. Whole grains contain the entire grain kernel: the bran, germ and endosperm. 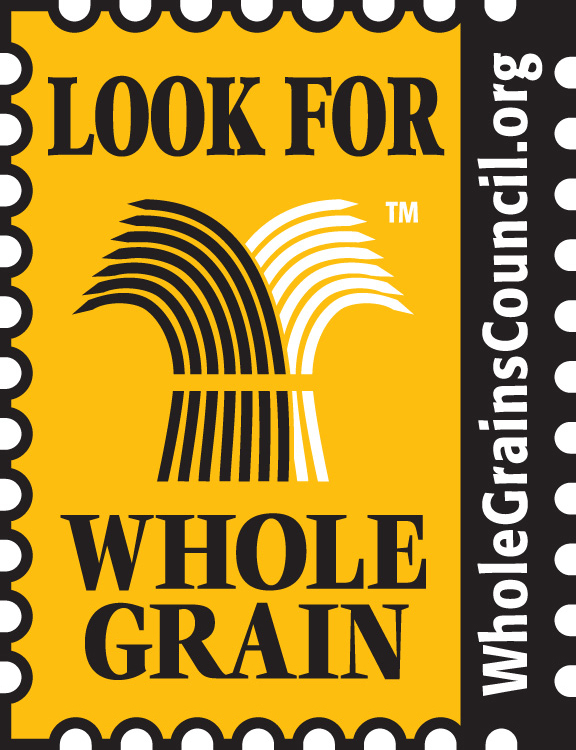 Whole-wheat flour, oatmeal, whole cornmeal and brown rice are all whole grain foods. Refined grains have been milled to remove the bran and germ. This gives grains a finer texture and improves their shelf life. However, it removes dietary fiber, iron and many B vitamins. White flour, white bread and white rice are examples of refined grains. Most refined grains are enriched. This means that certain B vitamins and iron are added back after processing. Fiber is not added back to enriched grains though. Foods labeled with the words “multi-grain”, “stone-ground” “100% wheat”, “cracked wheat”, “seven grain” or “bran” are usually not whole-grain products. Color is not an indication of a whole grain. Bread can be brown because of molasses or other added ingredients. Always check the ingredient list to see if it is a whole grain.